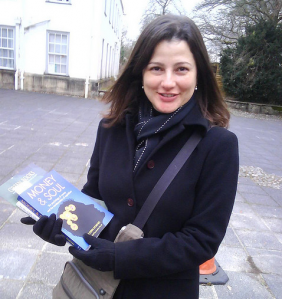 In our book Holonomics: Business Where People and Planet Matter we discuss five universal human values which are the basis of the Human Values in Education programme which was created in the 1960s by Indian educator Sathya Sai Baba. 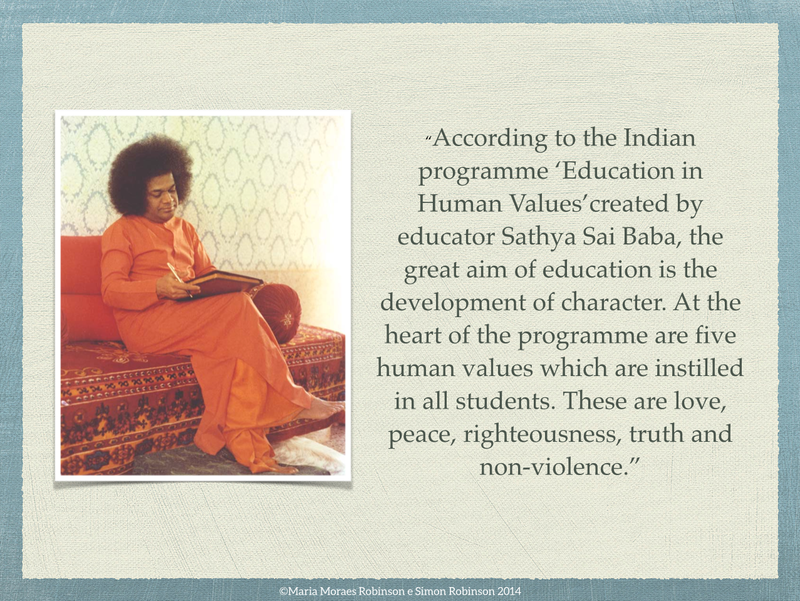 For Sathya Sai Baba, the great aim of education was the development of character. These five human values of peace, truth, love, right-action and non-violence are extremely powerful, because they focus on relationships. A sustainable view of a business means that you take care of all the relationships you have, both insider and outside of the organisation. Authentic sustainability is how you treat your employees, nurture happiness, inspire people to do the best they can, and enabling the organisation to evolve, and so education should not just equip people with technical skills, but to develop wisdom, that people are able to make better choices, to have better lives and to be happy. For a company to say it is sustainable, it first has to look after its own interior, just as a person cannot say they are sustainable if they do not know themselves. As people we have to take care of our health, our mind, our time and so it is with companies and sustainable brands. If a company is not absolutely careful with itself, it will not be with the outside, with clients, with the environment and all the relationships the company has. You have to be in peace with yourself. Your thoughts, speech and actions must all be in alignment, in order to be respected, and so you really have to be committed to the truth. In order that clients and customers have a good relationship with a brand and an organisation, the truth is essential, because if you can not deliver something, it is better to be truthful than dishonest. You must have love for everyone and everything. You have to act correctly in order to be reliable and transparent. You have to be non-violent, and this means really listening to others, and having true dialogue, in order to be able to explore new ways of seeing. These five human values create stronger relationships between customers and brands, develop wisdom, help people to make better choices, and to have better lives and to be happy.